Relax by the pool, discover the golf course designed by Jack Nicklaus, play a tennis match, delight in the flavours created by chef Albano Lourenço at the Vistas fine dining restaurant and end your day at one of the marvelous Villas. 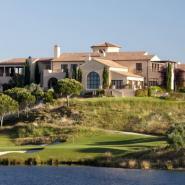 Enjoy Summer’s sunset with a luxury experience at the Monte Rei Golf & Country Club. - 1 Night Stay in a 3 Bedroom Villa. - 1 Degustation menu at the Vistas restaurant. Accommodation and degustation menu - From 199 EUR per person / night. Accommodation - From 139 EUR per person / night. Degustation menu - From 60 EUR per person.